Camping is about getting away from it all, and it helps to have the right vehicle for your camping needs to make sure that your experience with the great outdoors goes as smoothly as possible. 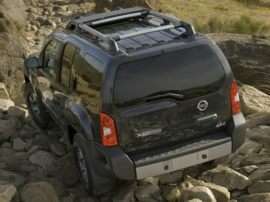 Whether you plan on setting up a tent, towing a trailer, or simply sleeping in your automobile, there are a wide variety of different cars for camping that cover a range of rugged — and not so rugged — possibilities. Some are obvious, while others are a surprise given their more urban roots. 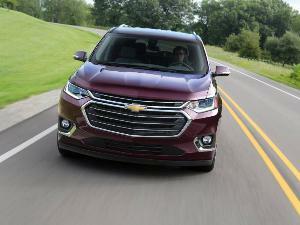 Let's take a quick look at 10 of the best cars for camping. 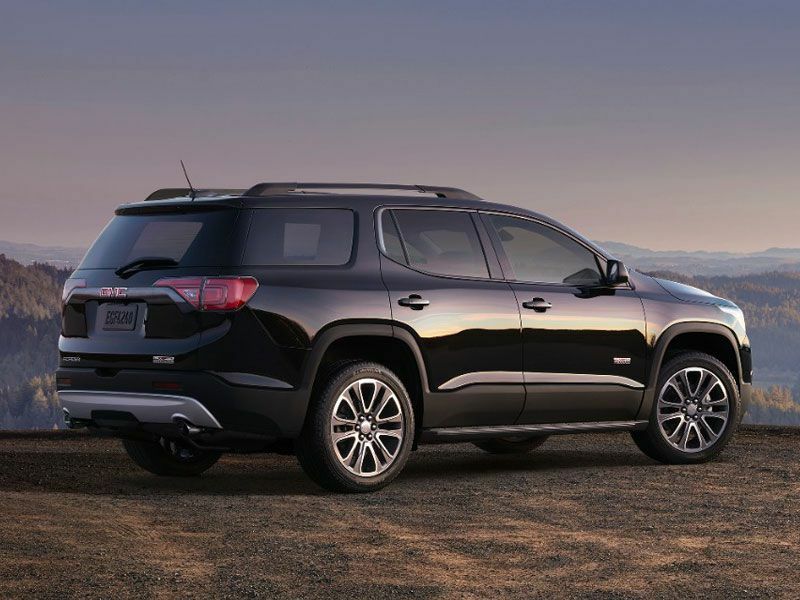 The fully redesigned 2017 GMC Acadia straddles the line between providing the cargo-friendly capabilities of a minivan and the all-terrain bonus of an SUV. 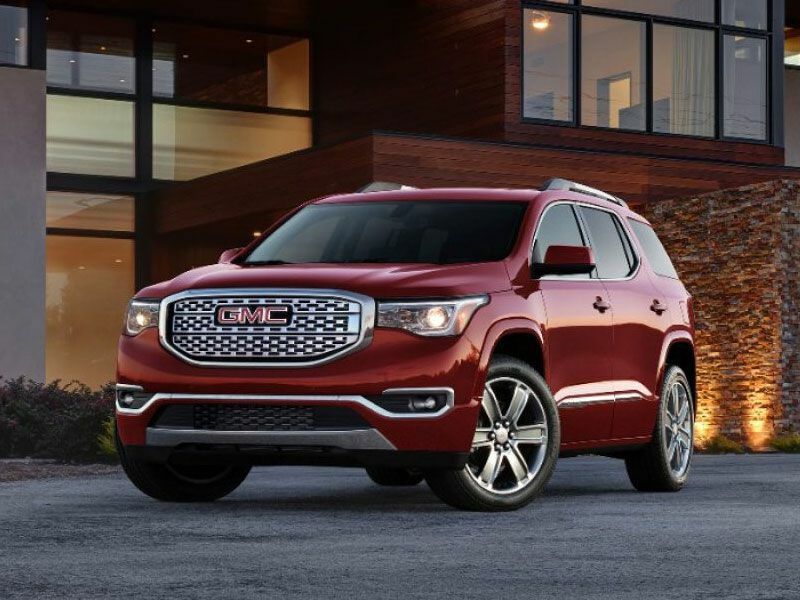 The GMC Acadia is available with all-wheel drive and enough clearance under its axles to get you to your KOA spot without spinning your wheels, but it also offers the choice between 7-passenger seating or 79 cubic feet of total cargo space. Not only that, but the Acadia's premium trappings will have your companions forgetting to ask the perennial “Are we there yet?” question that seems to dog all long-distance camping trips. 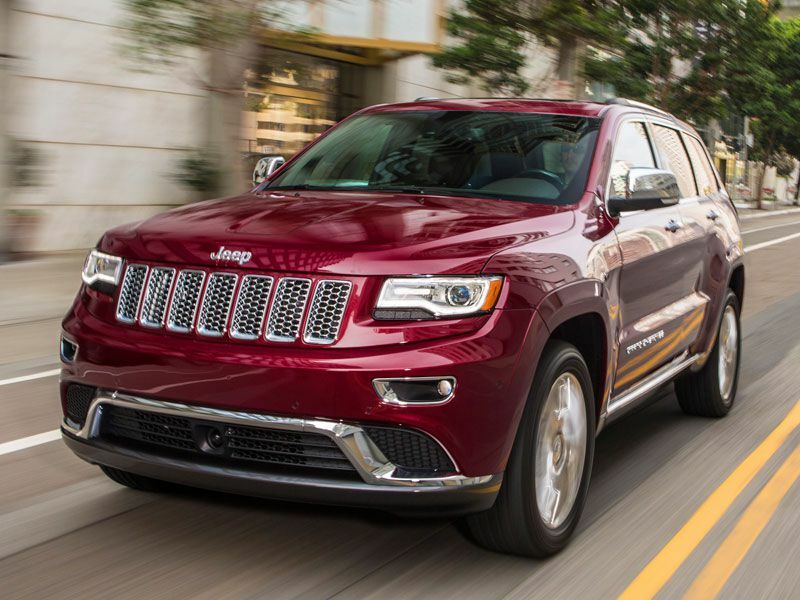 The 2016 Jeep Grand Cherokee is in many ways the ultimate camping vehicle. 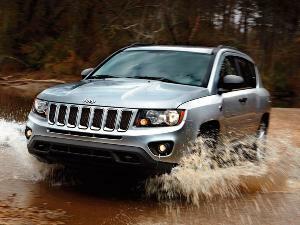 With three different 4-wheel drive systems available, the Jeep Grand Cherokee can get you to your campsite even if it happens to lie across a river or field of boulders. With 5-passenger seating and a generous cargo area, it's got enough room to haul all of your friends plus their associated gear for the weekend. Finally, with available V8 and turbodiesel power, the Grand Cherokee can tow as much as 7,400 lbs of trailer weight behind it, giving it exceptional flexibility for large and medium-sized camping rigs. 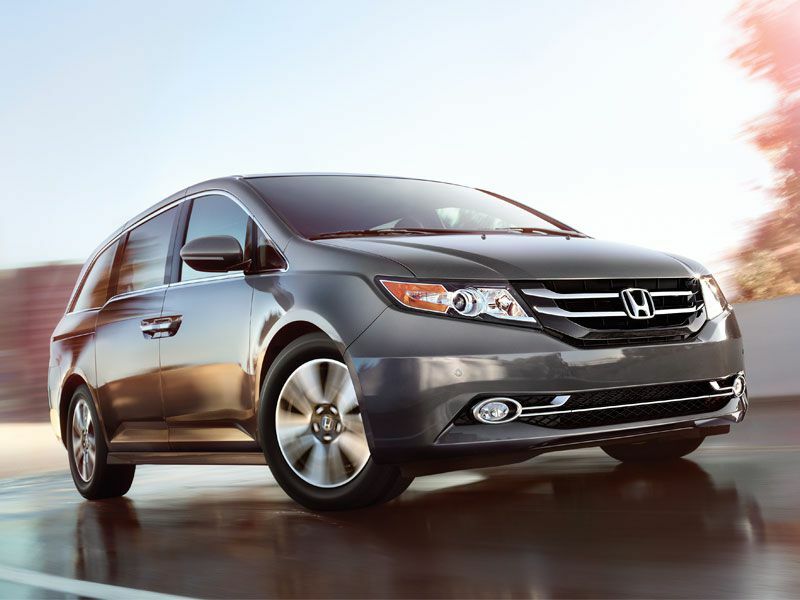 The 2016 Honda Odyssey is a bit of a camping outlier, given that it doesn't offer 4-wheel drive or the kind of rugged attitude one would expect from an outdoorsy vehicle. That being said, a significant portion of camping takes place at facilities that feature well-graded roads and carefully tended sites, which means that the important thing becomes stuffing as many bags, sleeping bags, and coolers as possible under the roof of whatever vehicle you are driving to your adventure. The Honda Odyssey's available 148 cubic feet of cargo space is more than capable of swallowing everything you'll need during your trip, and buyers can even opt for the HondaVAC built-in vacuum cleaner to keep out the inevitable dirt and pine needles. The 2016 Subaru Forester, which the Japanese brand considers a compact SUV and not a crossover, makes our list of the best cars for camping thanks to its frugal, yet capable personality. 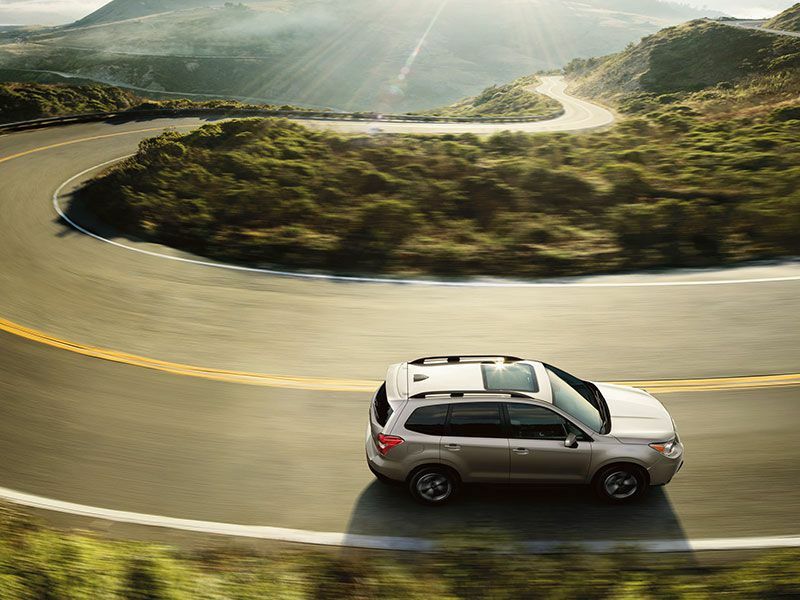 With as much ground clearance as the Jeep Grand Cherokee mentioned above, plus standard all-wheel drive (with available X-mode for handling tougher terrain), the Subaru Forester doesn't give up when the pavement ends. Great cargo space (as much as 74.7 cubic feet) merges with 32 MPG on the highway to make your camping trips less expensive at the fuel pump. Want to drive to the farthest reaches of the globe while coddled in the absolute lap of luxury? There are few camping chariots as refined as the 2016 Land Rover Range Rover, and certainly none with the startling off-road abilities expressed by this full-size SUV. The Land Rover Range Rover's Terrain Response and Terrain Response 2 systems can automatically adapt its full-time 4-wheel drive system to handle whatever rough stuff the vehicle might encounter, while its reams of leather and wood work together with the full spectrum of high end electronics, gadgets, and gizmos, to make the great outdoors seem like your living room. 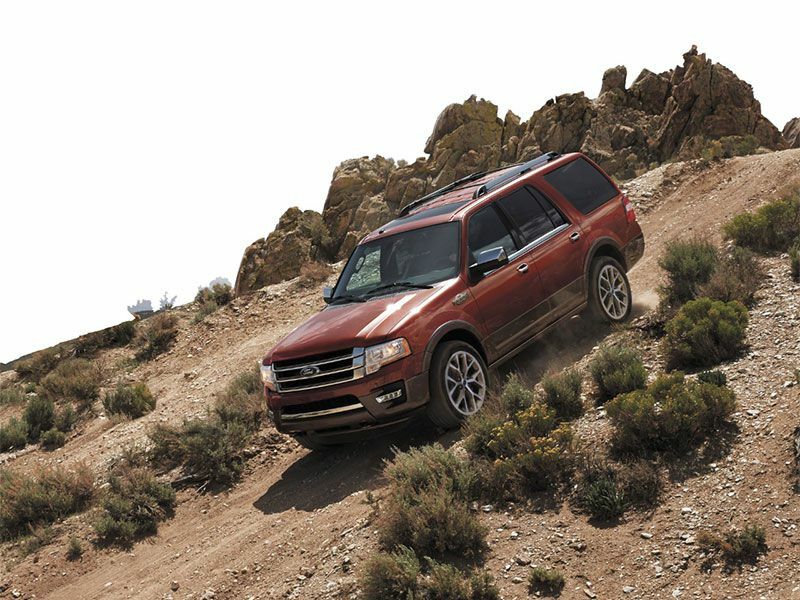 The 2016 Ford Expedition is a great choice for those who need to tow a camping trailer but who also have an extended family to take with them, too. The Ford Expedition can be configured to handle as many as eight passengers, although if you are going solo the massive fullsize SUV can swallow up to 130.8 cubic feet of camping luggage (with the rear seats out of the picture). 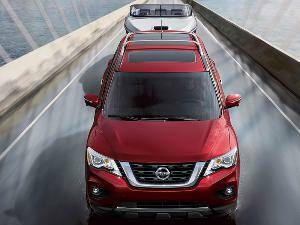 The extended-wheelbase XL model, which boasts the best cargo capacity, is also the top choice for hauling, and the Expedition's truck-based chassis and 3.5-liter twin-turbocharged EcoBoost V6 allow it to lug 6,000 lbs. 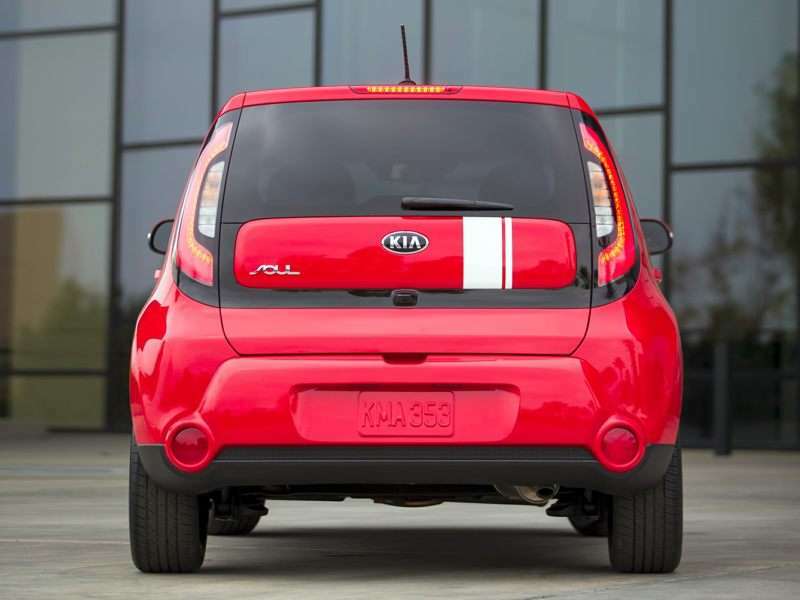 The 2016 Kia Soul is an urban warrior that deserves some camping consideration. Let's say you've pitched your tent for the night, but minutes later are inundated with the kind of rain drops that can slap mosquitoes right out of the sky. One of the great advantages of the Scion's box-like design is its copious amounts of interior space. The Scion xB's 61.3 cubic feet of total cargo room — with the back seat folded forward — is perfect for two people to stretch out and enjoy each other's company while they wait for the morning sun to dry out their sodden outdoor gear. This popular truck is is a lot more versatile than it seems. TRD Pro is an equipment package developed by Toyota’s in-house performance division, and it makes the 2016 4Runner, which is plenty capable on its own terms, a bona fide off-road champion. The TRD Pro package provides heavy-duty skid plates, an upgraded exhaust system, higher ground clearance, and a performance suspension. 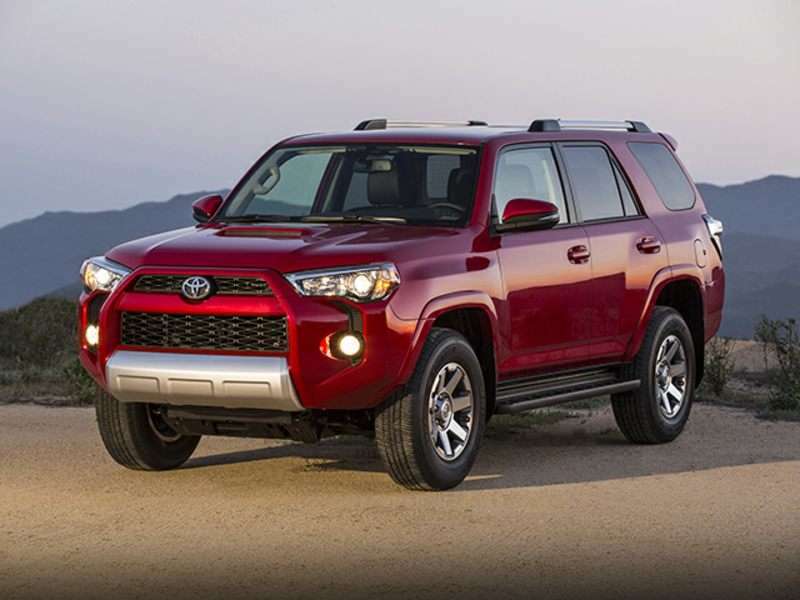 The 2016 Toyota 4Runner TRD Pro will be able to reach the most remote of camping locations, and the generous proportions can easily stow plenty of gear. The 2016 Jeep Wrangler Unlimited takes the go-anywhere potential of the traditional Wrangler and stretches it to offer genuine seating for up to five passengers. 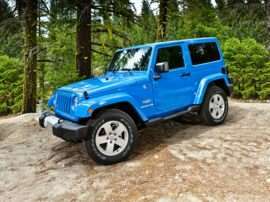 This makes the Jeep Wrangler Unlimited a fun family option for more extreme forms of camping — or a great way to see just how well your group of friends really gets along when roughing it in the woods. The Wrangler Unlimited's removable roof (which can be covered with either a hard or a soft top) also makes it the perfect choice for riverside fishing, as you can stand in the rear cargo area and cast a line without having to get your feet wet. The redesigned 2017 Ford F-250 is a serious truck for serious towing, which is exactly what is required when hooking up a fifth-wheel type of camping trailer. 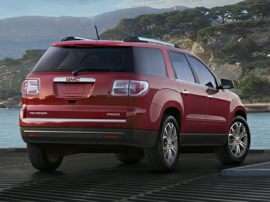 Feel the need to bring all the modern conveniences with you when you strike out on a trip into the country? The Ford F-250's maximum tow rating of 32,500 lbs (with a fifth-wheel hitch) ensures that you can stock up on as many supplies and luxuries as you want without having to worry about slowing yourself down out on the highway. 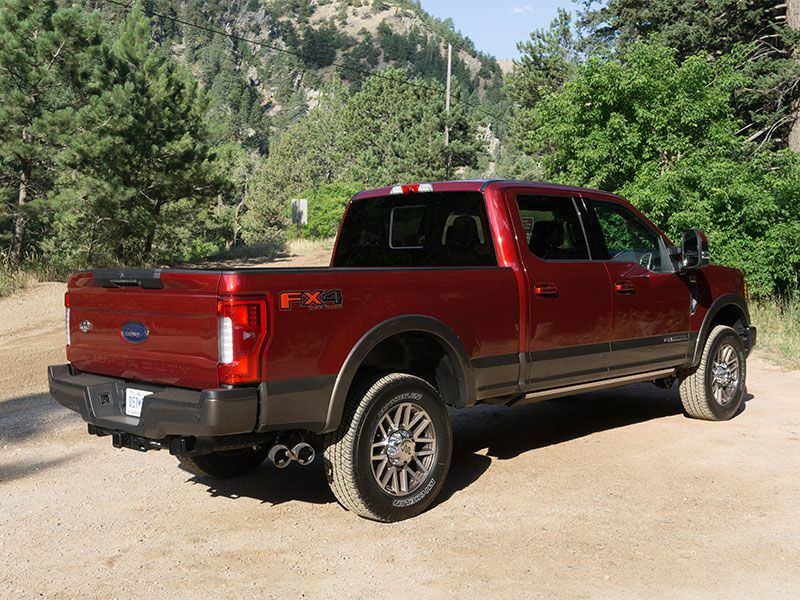 Available in a 4-door crew cab configuration (for maximum passenger comfort) as well as with a 6.7-liter turbodiesel V8, the F-250 can tame any trailer with ease.